Bright, spacious, and inviting, the Deluxe Queen Suite features sophisticated décor and a separate living room and kitchen area with a pullout couch for extra sleeping space. The suite features two large flat screen televisions and magnificent views of the Saint Paul skyline. This room was newly remodeled in May 2014. 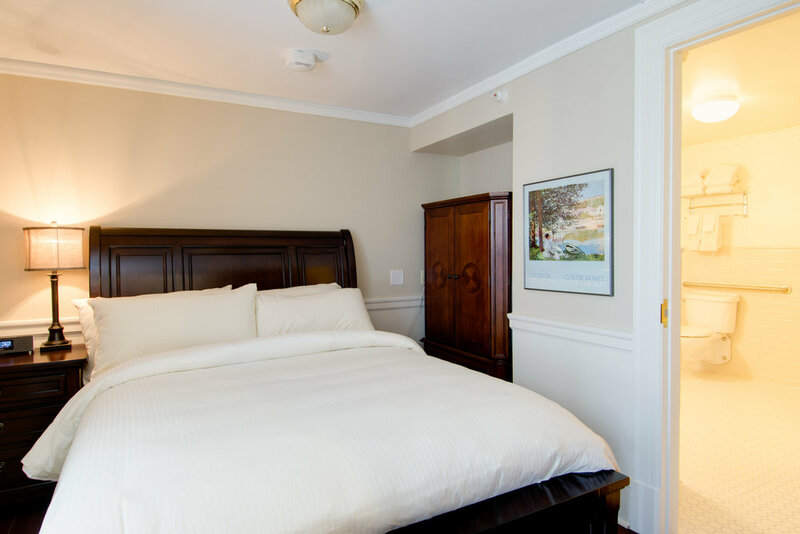 All of our guestrooms and suites include complimentary high speed Wi-Fi, hard-wired Internet and continental breakfast.